Wedding bells are ringing, and you've already found the person of your dreams. Now it is time to pick the ring of your dreams. 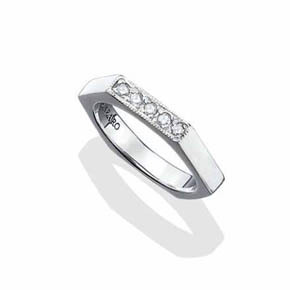 Shop our collection of wedding bands for the perfect fit. 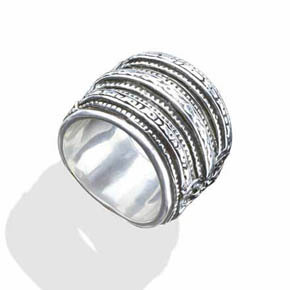 A perfect example of simple, yet elegant style, this 10mm Sterling Silver Ring is the perfect addition to your wardrobe. 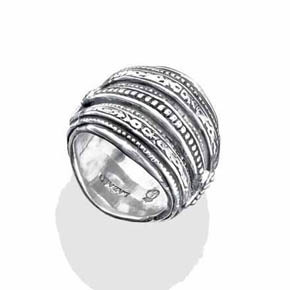 The pairing possibilities are endless as far as this ring goes. Wear it every day, or to your next special event. 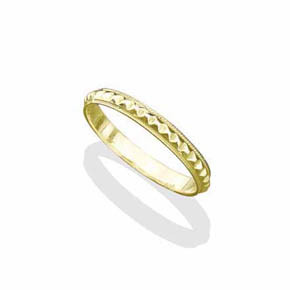 This 18kt gold band is hand-crafted in store. 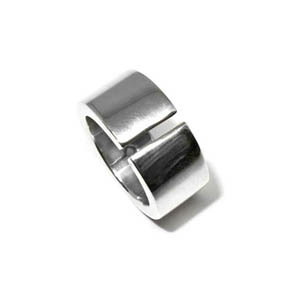 Measuring 4mm thick, this band is durable but not bulky. 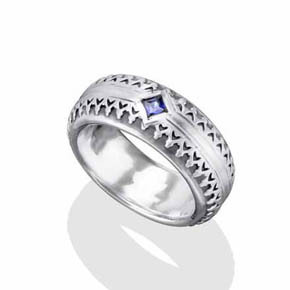 This ring would make a perfect wedding band for you and/or the love of your life. 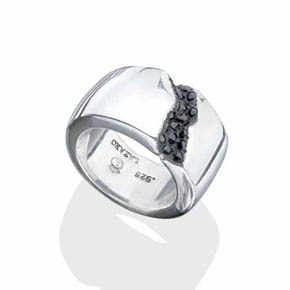 Ring pictured is size 11 and weighs approximately 14.7 grams. 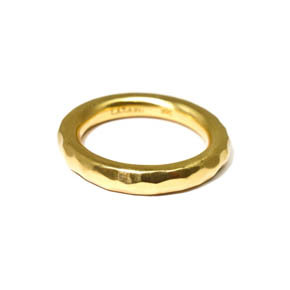 Size of ring will influence weight of gold. 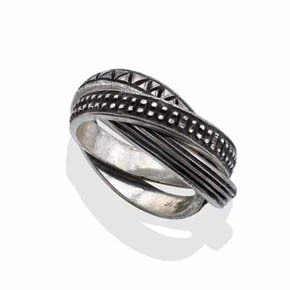 This hand-carved ring design features an undulating distressed block design. 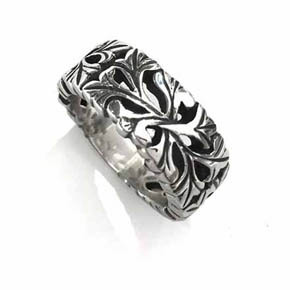 Solid sterling silver and only available here. 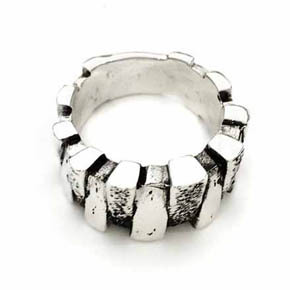 We went in the archive to re-issue this iconic ring design in solid sterling silver. 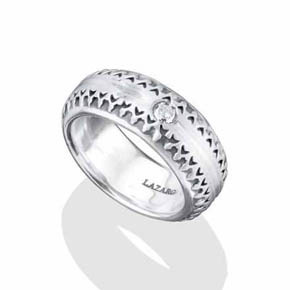 All hand-carved by Lazaro, this ring for men features an intertwined leaf and stem pattern though out. This band is destined to be a keepsake. 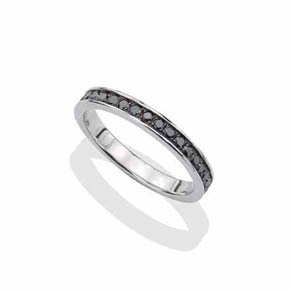 This handcrafted sterling silver black diamond ring is an eternity ring forged by hand with a simple yet striking design. 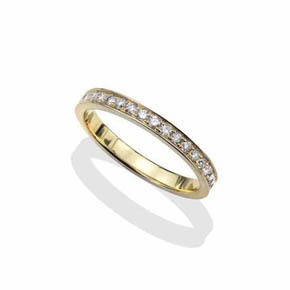 A diamond ring forged by hand from 18kt gold with a classic design and a continuous band of diamonds. 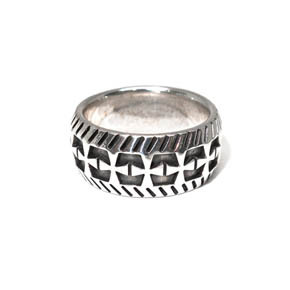 Handmade sterling silver ring composed of shifting bands detailed with different repeating patterns against a dark patina. 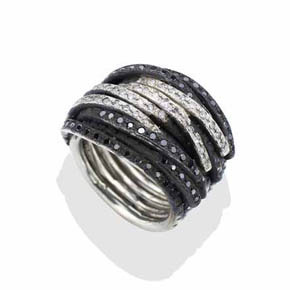 Black and white diamonds set against a dark patina on a handmade sterling silver band. 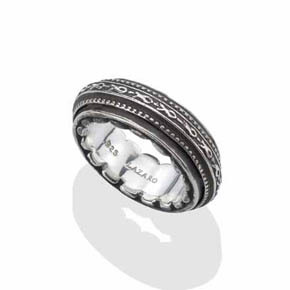 Sterling silver ring coated with a dark patina and detailed with a repeating abstract fish motif. 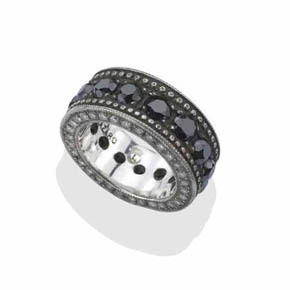 This sterling silver ring that has a dark patina is covered with black and white diamonds. 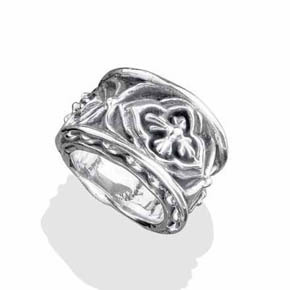 This unique handmade sterling silver ring features a repeating fish motif with a cross detail on side. 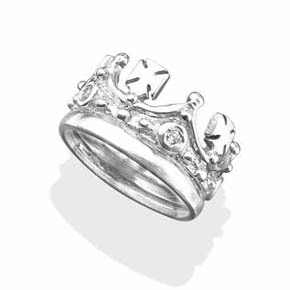 This unique handmade sterling silver ring features a repeating fish motif with a crown detail on side. 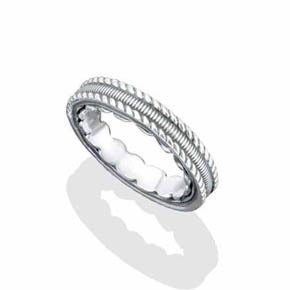 This unique handmade bolt ring is a sterling silver ring that features a row of prong set bright white diamonds. 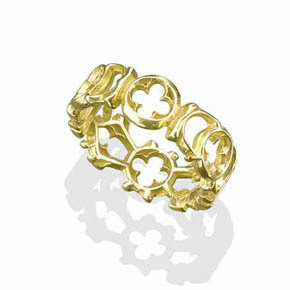 This unique handmade gothic ring is a solid 18K gold ring that features the popular open Gothic window motif. 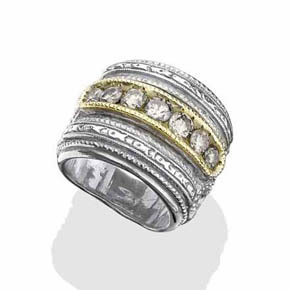 This unique handmade 18k gold ring is detailed with pyramids. Medium size, also available in small. 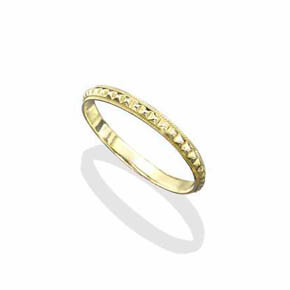 This unique handmade 18k gold ring is detailed with pyramids. This unique ring was designed for the man himself so we figured we would name it after him too. 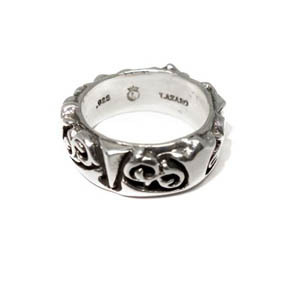 The Jimmy Page Ring is a handmade solid silver ring with a solid 18K gold inlay. 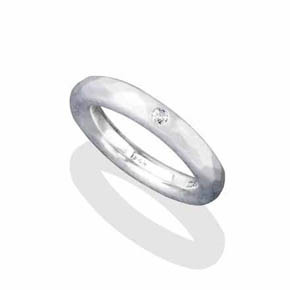 It is has a hand engraved surface with 7 large diamonds featured front and center. Whether you're looking for a black men's wedding ring or a blue men's wedding band, you can find some of the most unique men's wedding rings here. 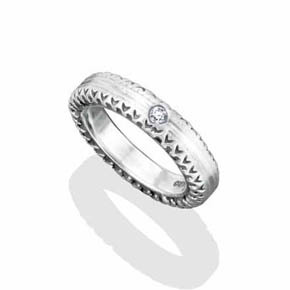 Discover wedding ring styles that range from simple and rustic to the ornate. We use only the finest materials like gold, sapphires, emeralds, ruby, turquoise, and diamonds. 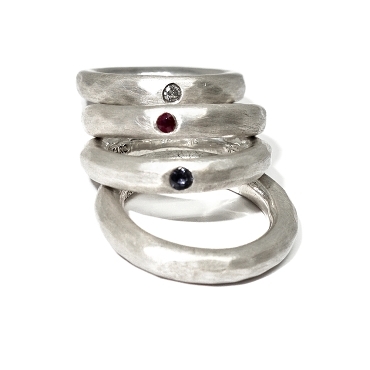 Choose your perfect ring from our selection of hand-made and hand-designed styles. 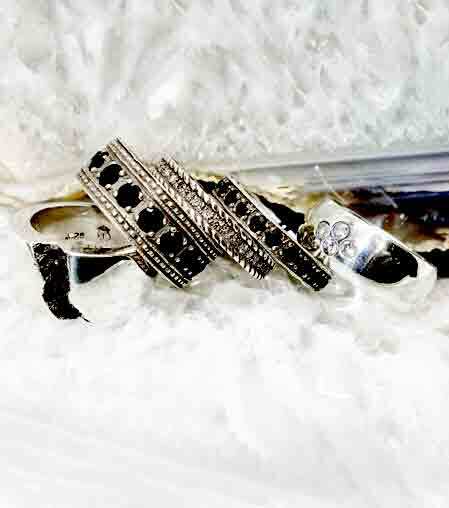 Create a set of matching rings for you and the love of your life. From expensive to inexpensive, popular men's wedding styles include: Celtic, hammered, classic, manly, Irish, rolling, alternative, bohemian, contemporary, indie, country, and masculine. 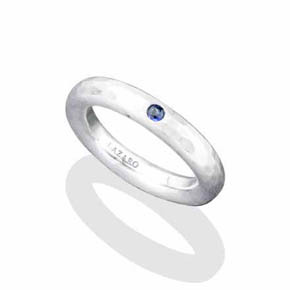 Design your own set of matching wedding bands for couples made from the highest quality gemstones. Don't see the style you're looking for? No problem. Lazaro Soho specializes in custom-designed men's wedding rings made from the best metals and precious gems.